Hungarian inventor Ernö Rubik created his first 3-D color-coded puzzle cube in the mid-1970s, but it wasn't until the following decade that Rubik became a household name. After Ideal imported the toy to the U.S. in 1980, it skyrocketed in popularity. Millions of kids and adults became obsessed with unscrambling the Rubik's Cube's colored squares. 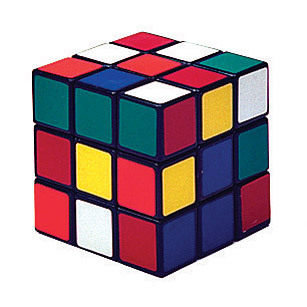 Because sides could be rotated on any axis, restoring the cube to its original color separation was incredibly difficult. International competitions are held each year for ultimate bragging rights of the quickest hands.